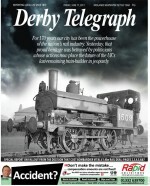 The Derby Telegraph is heading up the shortlist for next month’s Midlands Media Awards with a total of 12 nominations. 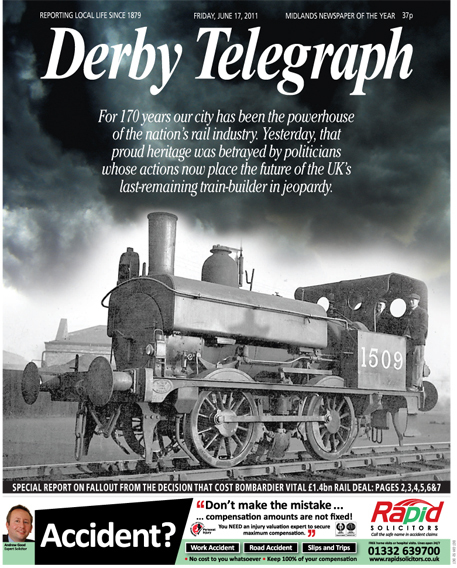 But the Northcliffe-owned daily faces competition from the Birmingham Mail, Coventry Telegraph, Express and Star, Leicester Mercury, Northants Chronicle and Tamworth Herald as it seeks to hang on to the Newspaper of the Year title won last year. The Mail has 11 nominations and Coventry Telegraph seven for the 15 March awards which are run by the Birmingham Press Club. The Birmingham Mail and Post’s Jeanette Oldham will be looking to repeat last year’s win as Journalist of the Year after being nominated again. Steve Dyson, chairman on the judging panel, said: “It was a pleasure for judges to see more than 360 entries from places as far away as Worcester, Leek, Derby, Coventry, Hinckley, Lincolnshire and Northants – as well as Wolverhampton and Birmingham in the heart of the region. “And it was even more enjoyable to see such passion and pride alive and kicking in Midland journalism. How come the Sunday Mercury counts as a daily newspaper all of a sudden? Sorry to see the Hinckley Times not here – maybe to get better stories they need to employ more people who actually live in the town!